The gist: Making time for self-care can be hard, but it’s easier if you make it a routine. 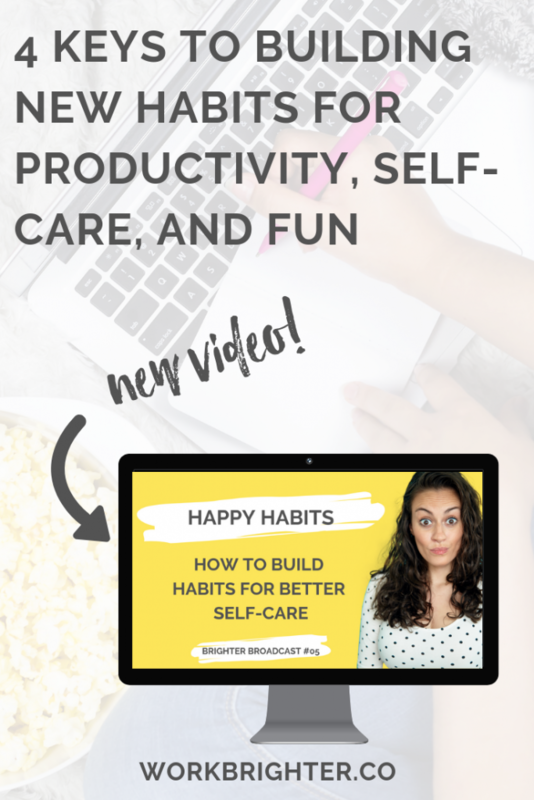 In this post I’m sharing 4 tips for building self-care habits that keep you happy! If you’re anything like me, you have a huge list of things that have been on your “maybe someday” list for like ever. But somehow your days just fill themselves up, and those things never seem to happen. That’s because you’re a creature of habit. It’s not a bad thing or anything to be ashamed of. And it’s time to use that to your advantage, to build new habits and do the things that you want to do. If you want to make room for anything new in your life, whether that’s at work or in your own self-care, you need to make habits out of them. 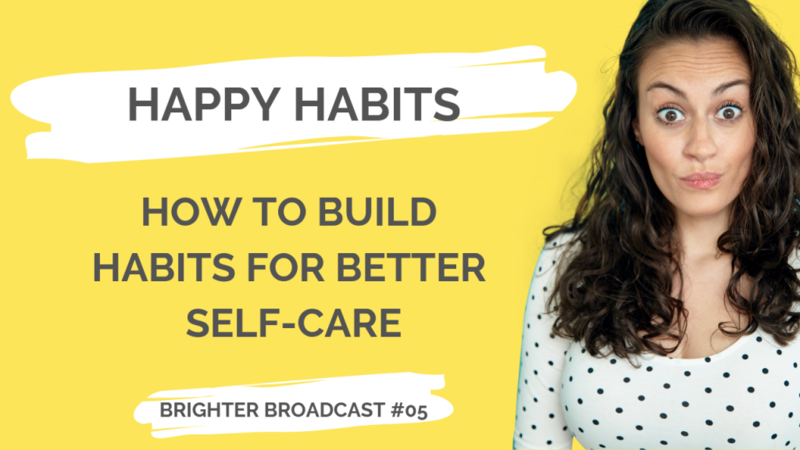 And in this Brighter Broadcast, we’re talking about tips for doing just that: happily building habits for self-care. In the back of our minds, we all have a bucket list. In the forefront of our minds, most of us have short-term goals. But the thing about goals bucket lists is that they’re all focused on the end of the story, not on how you get there. That can make reaching those goals confusing, difficult, and frustrating. If you know my backstory at all, you know that about 2 years ago, I was having serious health issues. There was no way I was going to get healthy without changing and overhauling my lifestyle. 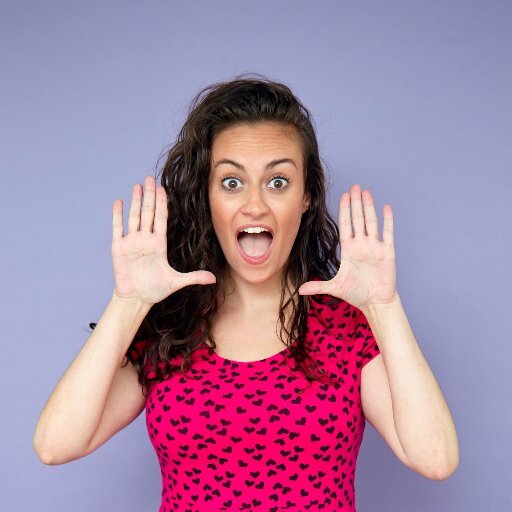 How I ended up being able to make it happen was through focusing on changing my daily habits, particularly relating to self-care. Intensely, from the second I woke up in the morning to when I went to bed at night. It was how I started taking medication more consistently for my chronic illness and mental health. And how I found a nightly routine that helped me reduce my illness symptoms in the mornings. It’s also how I started journaling and meditating regularly, in order to seriously reduce anxiety and feel more creative. And building daily habits are responsible for so many other things, without which I never would’ve gotten healthy enough and learned to manage my mental illness well enough to grow this business. The same thing goes for my job. It’s not easy to manage a to-do list when you’re sick, stressed, depressed, etc. And having certain habits on autopilot, baked into your day automatically? That stuff helps you get through your workday when it’s otherwise difficult to. 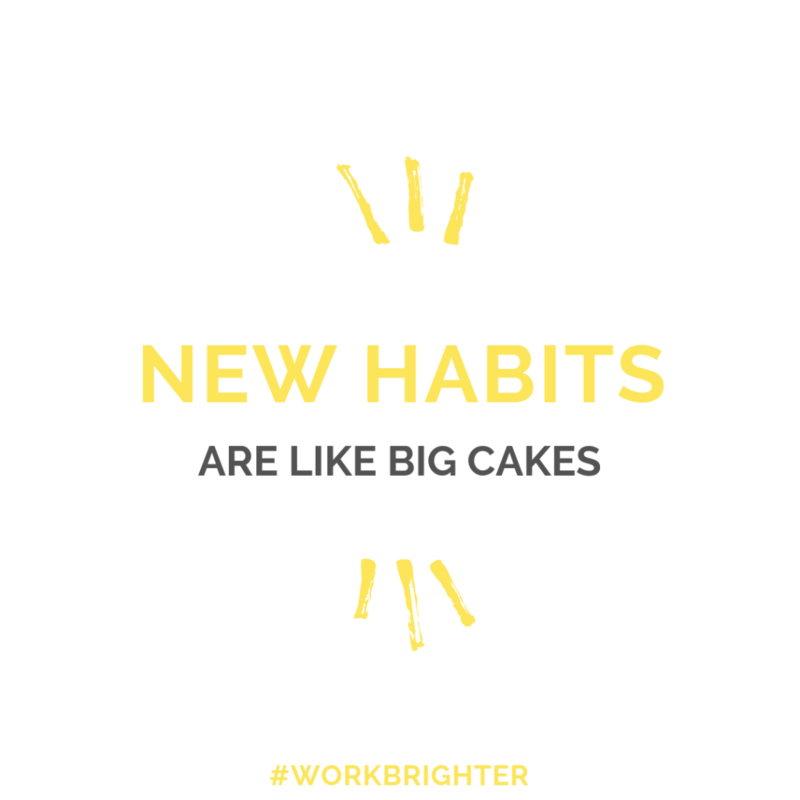 So this past month in the Work Brighter Clubhouse, my membership program to help you balance productivity with self-care in your career, we’ve been helping each other build new habits. The first thing that we do is get really clear on understanding the difference between the end game habit and the right now habit. So many people get this wrong and sabotage themselves before they even start. For example, I eventually want to get to the point where I’m journaling my heart out. I already journal every night and whenever I’m having an anxiety attack, but I’d love to add morning pages in too. So eventually, I would love to be spending, like, an hour or more per day in my journal. But that’s not going to happen right away when I’ve barely journaled at all for the past several months. So instead I’m trying to journal for five minutes a day using a super simple daily recap prompt. Think of this new beautiful habit that you want to build as a cake. If you try to eat that whole cake right away, you are going to get sooo sick. Instead, take a few small bites. Then start to take bigger bites. Train your stomach. Get used to the taste of all the frosting and sugar. Rewards are a common part of building habits, but the common advice is to reward yourself for streaks and keeping habits. Cool, but I don’t like to wait until I’ve done something for 30 days in a row to reward myself for it. Because how much will that motivate me on day one when I’d rather nap than go for a walk?! Instead, do something fun or rewarding…just a little way to treat yourself…after every time you repeat the habit. And rewards don’t need to be fancy or cost any extra money or time. For example, someone in the Clubhouse is trying to build a morning workout habit, and doesn’t really have the resources for extra, fun rewards. So I told her to just let herself take a longer-than-normal, ultra-relaxing shower on days she exercises. As a busy mom, it’s an easy way for her to be totally relaxed and at peace for a few minutes. It’ll become an escape. Her brain will be happy, her body will be happy, and it’s based on something she’s already doing. The third key to building happy habits not stopping the reward train at small treats. We also go full out treat yourself from time to time. Small treats are great on a short-term basis. But it’s not enough to keep yourself motivated and going and have something to work towards in the future. So in addition to the small treats, you should also set goals for streaks. For example, I bought a Groupon deal for a massage recently, but I’m not using it until I have journal 30 days in a row. Bigger things like that are a great way to stay motivated and keep working and keeping that streak up. It’s like the whole “break the chain thing” that I’m sure that you’ve heard of that’s often attributed to Jerry Seinfeld, but that he never said. Finally, the fourth key to building happy habits is a tracking and sharing your progress. It helps you stay accountable to yourself and stay motivated. You can use a journal, an app, a calendar, or whatever works for you. And once you get going, it’s really motivating to be able to look be and see your progress. Anything you can do to keep yourself motivated long-term, do it. This is why I love building new habits with the Clubhouse so much. We’re all in there posting every day about what we’re doing and cheering each other on. So those are my best tips for building habits for self-care, productivity, and other ways to make your work happier! Share your own in the YouTube comments.